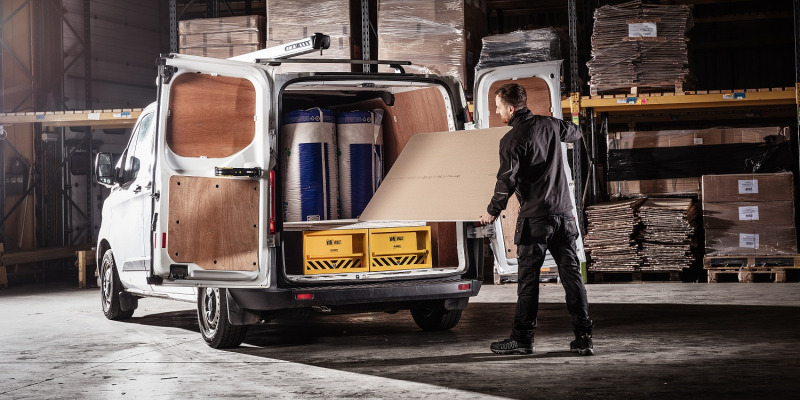 Despite the general increase in online sales, recent research by Van Vault has highlighted that tradespeople still prefer more traditional methods of buying equipment. In-vehicle secure storage supplier Van Vault says its research has unveiled surprising results, providing further insight into purchasing habits of its trade customers. In recent years the overall value of internet retail sales has steadily increased, with the llatest ONS figures reporting online sales in February were up 9.4% year-on-year; currently running at 17.6%. Online sales value has now reached £1.19billion. Despite this, a study commissioned by Van Vault, revealed that merchants are going against the grain, with stores being the first choice for tradespeople, rather than online. The survey revealed that 41% of participants prefer to buy secure storage solutions in store from a local or specialist retailer, with 38% stating that they purchase goods from national brands, such as Wickes or Screwfix. The research showed initial online research is done to look for product information, but visibility in store is important, as they want to actually see the product before making the purchase there and then. Van Vault believes this is because it is easier to see the quality of manufacture in the flesh, as opposed to simply looking at a picture online, whilst tradespeople are also provided with a better understanding of the size of the product, storage capacity and the tools that it can hold, if they see it in-store. Danny Hudson, managing director at Heat Group Supplies, a merchant in Peterborough says that good visual merchandising is important. He explained: “Having a product physically on display is quite striking in the trade counter environment and has, without doubt increased sales but also sparked other conversations and in turn sales for other product types.